A survey carried out by a Danish newspaper found that four out of ten Danish Muslims believe that the country's legislation should be based at least in part on the Koran. Four out of ten Muslims living in Denmark believe that Danish law should be based on the Koran, according to the results of an opinion poll published by Denmark's Jyllands-Posten newspaper on Sunday. "Nearly 4 out of 10 Muslims in Denmark believe that the Koran must form the foundation of Danish legislation," reported Jyllands-Posten. The survey, carried out by research institute Wilke, found that "11.3 per cent of respondents believe the Koran alone must be the foundation of law, while 26.5 per cent believe that the foundation of Danish law should be a mixture of the constitution and the Koran." Danish Social Democratic Party immigration spokesman Dan Jorgensen commented that the proportion of those who wished to change the constitution presents a problem. "There must be the aim that everyone in Denmark supports the constitution and says loudly and clearly that anything else is unacceptable. You can have what religion you want, but laws and regulations, are something that should be decided democratically," said Jorgensen. The anti-immigration Danish People's Party used the survey to bolster their campaign to restrict Muslim immigration to the country. There are currently about 250,000 Muslims living in Denmark. "I hope that people can see from this, that the number of Muslims in Denmark is a problem," said party spokesman Martin Henriksen. Imam Radwan Mansour of Denmark's Fredens [Peace] Mosque in Aarhus told Jyllands-Posten that in his opinion, the law should be based on a combination of basic law, and the religious text. "If this was an Islamic country, it should be the Quran. But Denmark is not an Islamic country – we don’t decide – so I think it should be both the Quran and the constitution," said the Imam. 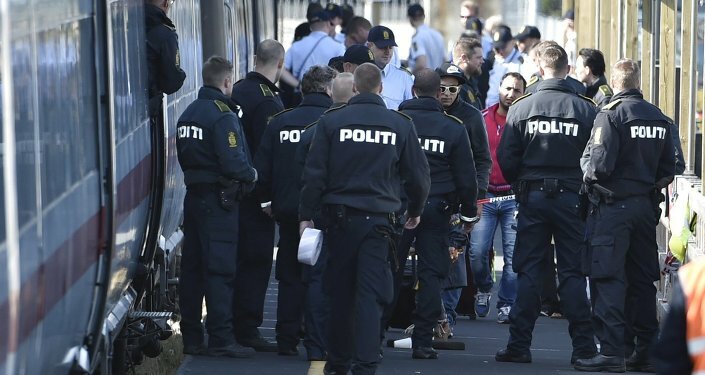 The figures cited by Jyllands-Posten were based on interviews with 702 Muslims in Denmark, with a maximum statistical uncertainty of 3.7 percentage points.